A lot of excitement circulating around Stephen King's new book (a sequel to The Shining). Personally, a lot of excitement around Tyler Jacobson's portrait of the man himself or Entertainment Weekly. (Article here). 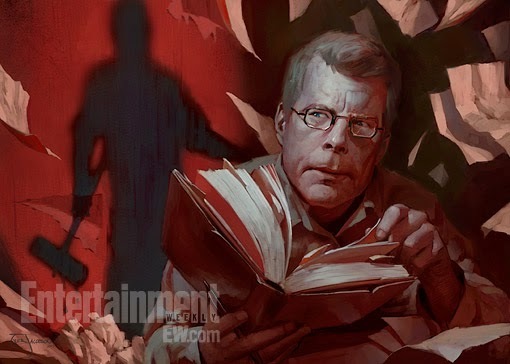 Interestingly, this isn't the first article we illustrated for EW about King's new book, Doctor Sleep. Take a look at Goni Montes' illo for them here.